Here are some recommended personal development books designed to help you become a better home manager, and a place for you to review and recommend even more. I have to admit, I am a bit addicted to books about personal development. They are some of my favorites to read, even "for fun." I am not currently practicing law, but when I was I read a lot of business type books too, and suprisingly I found a lot of information that was applicable to my other role as a household manager. I have several books to recommend in this category, but I haven't written the reviews yet. Therefore, right now I'll just share two with you that really have impacted my life in a positive way, and I promise I'll write the reviews later. The first is Getting Things Done: The Art of Stress-Free Productivity , or affectionately known as GTD to all the followers of this book out there. This is one of the big productivity books that is meant for business, but has application in everyone's personal life too. GTD made me a beliver in writing things down and scheduling, which is one of the main reasons I really stress using a household notebook in your home. In fact, my suggested notebook system is basically my way of tweaking the GTD system into something that works at home, for family and home managers. The other book which really has changed my approach to routines and habits, a core part of effective household management in my opinion, is the book One Small Step Can Change Your Life: The Kaizen Way . This book gives some solid advice for how to make and change habits, and to take small steps to lead to big postive changes in your life. The book is quite short, but in my opinion very powerful and helpful. I still remember where I was when it read it in one sitting, and then reread it immediately. I also want to hear from you, to give me suggestions of more personal development books to read, especially those which relate in some way to improving ourselves as home managers. 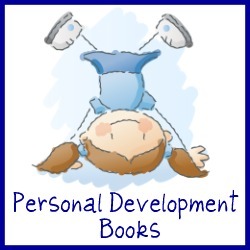 Have you read a book about personal development and thought it was really helpful or informative for you in your role as a home manager, and would recommend that others read it too? If so, share your book recommendation with us here and explain why you would recommend it. Your review and recommendations will appear on a Web page exactly the way you enter it here. You can use some basic HTML if you need to, but it is not necessary.